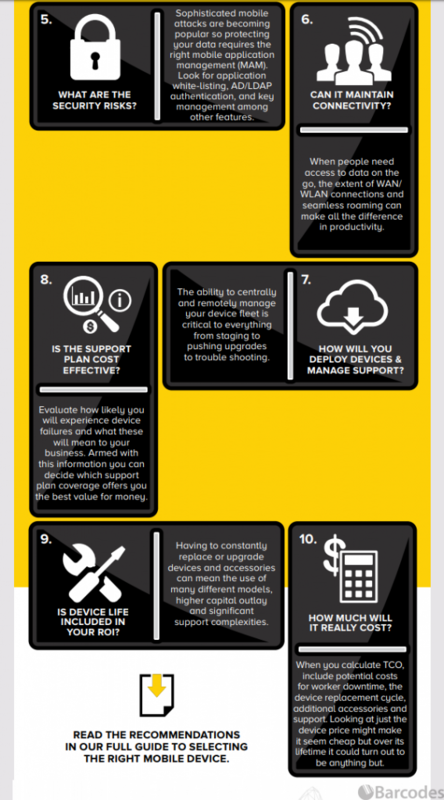 Your 10 Considerations for The Right Mobile Device! will meet your needs and your users? 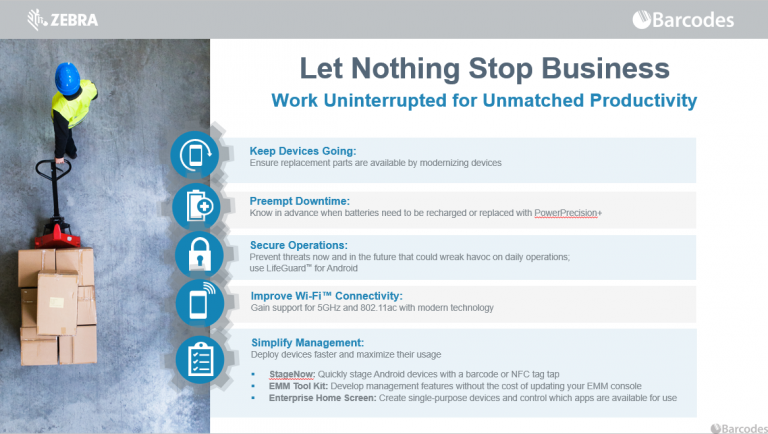 It’s hard to keep up with business when yesterday’s device weren’t made for today’s demands. Today’s worker can use a more modern interface, it can provide faster performance, increased productivity, and workforce agility. 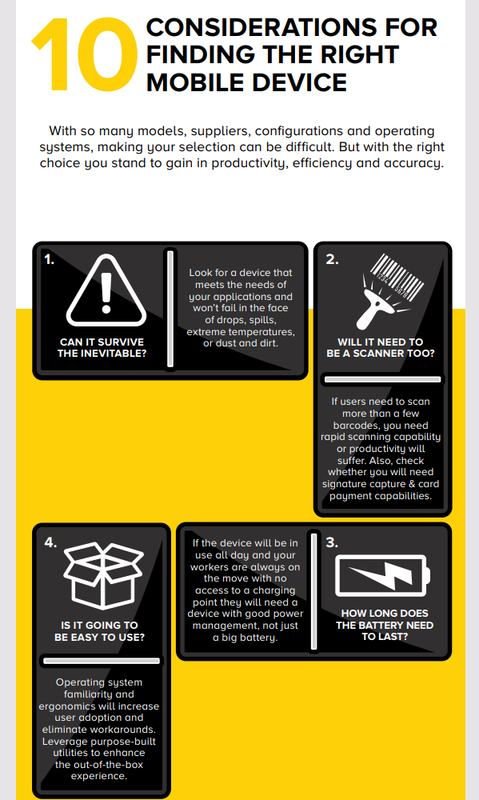 Barcodes can help you find newer device, provide better support, and secure operations to let nothing stop your business. 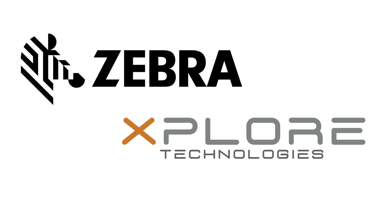 Click the presentation icon below and find out how Barcodes, Inc. and Zebra can give you the edge that you need to keep up with business today and beat out the rest of the competitions! 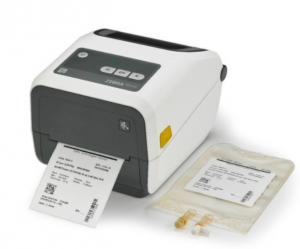 Why waste time to try to figure out your old printer when the Zebra ZD420 4- inch thermal printer is the printer for all users, easy to deploy and use. 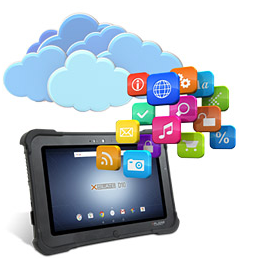 It can keep your business moving and lower total cost of ownership. Users can easily see what’s needed to keep the printer up and running with either replenishing media to resolving printer issues with no training required. Click on the play button and watch how easy it is to use the ZD420 printer and check out all the benefits it can bring to your work place. Send us an email or give us a call at 855-337-5086 if you have any questions or need a quote on the printers, consumables, or service and we will be happy to help. 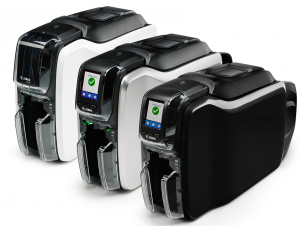 The New Zebra DS2200 Can Scan It All! Business Owners Beware! 2D barcodes have made their way to your Point of Sale system whether it is on the items or the coupons and the loyalty cards that your customer presents. 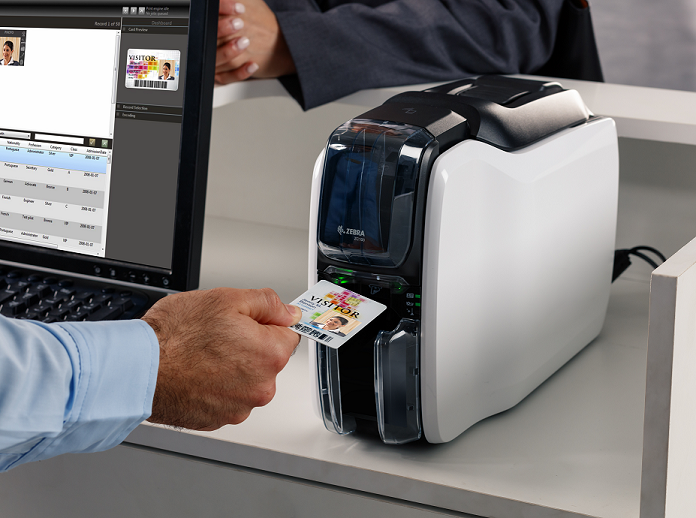 Your 1D scanners can’t capture the new 2D codes but with the new Zebra DS2200 you can scan it all! 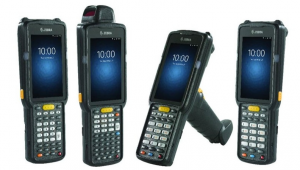 The simple and affordable DS2200 scanner is an out of the box solution for your fast paced retail needs. Watch the video below to check out the features and benefits and find out why it is the scanner that your business requires! Contact us by email or call us at 877-337-6475, if you have any questions or a quote and we will be happy to help.